Motorized bicycles go by many different names in Arizona. They are sometimes called motor-scooters or e-bikes. Whatever name they go by, they are bicycles with some type of motor attached to them. These motors can be either electric or gas-powered, and they allow the bike to reach speeds up to 20 miles per hour. Any vehicle able to travel over this speed is considered a moped, and has different laws applied to it. When motorized bikes get into accidents, the victims often suffer worse injuries than in regular bike accidents. Those injuries can be costly to treat, which is why victims may be able to file a personal injury claim for their injuries. Our Phoenix motor scooter attorneys at Breyer Law Offices, P.C., can investigate your case and give you the best chance of successfully receiving compensation. Motorized bicycles are considered to be bicycles in the eyes of the law, not motor vehicles. According to HB2796, they do not require a license, certificate of title, registration, or insurance. The Arizona Legislature decreed that they can use right-of-ways reserved exclusively for bicycles, but every city will have its own ordinances. For example, in Tucson, motorized bicycles cannot ride on bike pathways, and riders are subject to tickets and fines if they do not obey the law. When a motorized bicycle hits a pedestrian, the pedestrian may be able to file a claim against the rider. 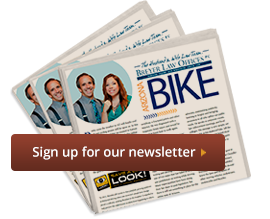 To win compensation, the pedestrian will have to prove that the rider was negligent, or did not take reasonable care to ensure that those around the bike were kept safe. If the rider of the bike disobeyed the law, such as using a path the city banned for use by motorized bikes, that can be enough to prove negligence. On the other hand, if the bike rider wasn’t breaking any specific rules but was not riding carefully, this can also be negligence. These instances are more difficult to prove, however. The rider of a bike may not always be responsible for an accident. If the bike was defective, the manufacturer of the bike or rental company maintaining the bike may be held responsible. With the increased popularity in motorized bikes, many people are choosing to buy parts and kits on their own. Using these parts and kits, they turn their regular bikes into motorized bikes. In this case, the rider would be responsible if a modification causes a crash. An expert may inspect the bike to determine if the crash was due to defective equipment, or if the parts were not installed properly. Of course, if a car or truck hits a motorized bicycle, the rider will suffer serious injuries. If the driver was negligent, the bicycle riders has the right to file a claim for compensation with the driver’s auto insurance company. If you were hit by a motorized bicycle in Phoenix, an experienced bicycle accident lawyer can investigate the case to determine who was at fault, and hold that person responsible for paying compensation to you. Speak to an attorney at Breyer Law Offices, P.C., as soon as possible. There is a time limit for filing these claims, and those who wait too long may have their case thrown out. Don’t let that happen to you. Call us today at (602) 267-1280. Phoenix Motorized Bicycle Accident Lawyer Disclaimer: The legal information presented at this site should not be construed to be formal legal advice, nor the formation of a lawyer or attorney client relationship. Any results set forth herein are based upon the facts of that particular case and do not represent a promise or guarantee. Please contact a lawyer for a consultation on your particular legal matter. This web site is not intended to solicit clients for matters outside of the state of Arizona.